Budapest, 1956. In the darkest year of Hungary’s modern history, a national uprising against Soviet occupiers and their reign of terror is underway. Eleven-year-old Évike and her firebrand mother steal deep into battle zones in support of civilian freedom fighters, armed only with primitive weapons and desperate courage against the heavy artillery of trained Russian troops. When taken in for interrogation by the secret police, little Évike spins a story to deflect attention from her mother’s revolutionary activities—a story that will irrevocably alter many lives and reach its tentacles, thirty years later, into the life of Ildiko Palmay. Chicago, 1986. Ildiko is a thirty-seven-year-old librarian and ESL teacher, the American-born daughter of Hungarian refugees. She is caught in a web of guilt and regret over her mother’s mystifying death. Unsettled by her life and her romantic failures, she finds herself suddenly and unexpectedly drawn back to her roots—first to the Hungarian neighborhood of her youth in Chicago, and eventually to the Russian-occupied city of Budapest. Along the way, she meets a magnetic man who may not be what he seems and uncovers a trail of secrets and betrayals that eventually intersects with the tangled knot of the mother-daughter participants in the revolution. 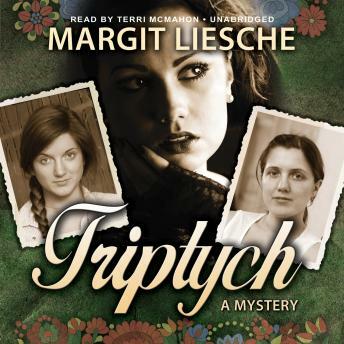 Triptych is the suspenseful unfolding of two parallel stories of mother and daughter relationships forged in the brutalities of the 1956 Hungarian revolution—a tale about the corrosive power of secrets and, ultimately, the healing power of forgiveness.